Saudi Readymix Concrete Co. is the leading producer and supplier of ready-mixed concrete and related products in Saudi Arabia. It was established in 1978 and is a wholly-owned subsidiary of Khalid Ali Alturki & Sons Holding Company (Alturki Holding), a leading industrial conglomerate. Saudi Readymix employs a workforce of about 3,000 people and operates 20 commercial and 20 on-site factories, strategically distributed throughout the Kingdom, covering all major metropolitan areas in the eastern, central, western, northern and southern regions. Our determination to lead the industry in quality has driven us to operate under the most stringent, self-imposed quality control regimen in the industry, which has helped us to make the name ‘‘Saudi Readymix’’ synonymous with quality within the industry. This in turn has led us to work on an impressive array of prestigious projects for both the public and the private sectors. Most of the company’s factories are officially approved as suppliers to major governmental and industrial authorities, such as Saudi Aramco, SEC, SABIC, Royal Commission, MoDA, Maaden, MOI, to name a few. Each one of our factories has its own quality control laboratory, fully equipped and staffed, to conduct the routine tests needed to ensure that the end product delivered to our customers is in full compliance with the contracted specifications. Our operations are managed through a state-of-the-art information system, Microsoft Dynamics AX ERP, which links all our factories to our head office, central workshop, and technical department. The company offers comprehensive concreting solutions and services designed for the peace of mind of our customers. For example, we can offer complete account management from any office for all our customers who have projects in multiple locations around the Kingdom. 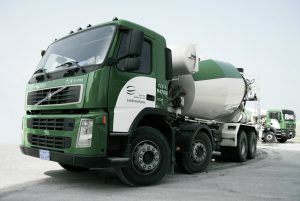 To be the most trusted provider of concrete solutions in the Middle East. To provide peace of mind to all stakeholders in an innovative and sustainable manner. Rami Khalid Alturki is the President & Chief Executive Officer of Khalid Ali Alturki & Sons (Alturki), a leading investment and development holding company that has been operating in Saudi Arabia since 1975. Its subsidiaries and joint venture companies are focused specifically on the building materials, infrastructure, information and communication technology, industrial, oil field services and renewable energy, and real-estate sectors in Saudi Arabia and neighboring Arab countries. In this capacity, he holds directorship and chairmanship positions in Alturki’s various holdings. Previously, Mr. Alturki held several senior positions with a variety of companies throughout the region as well as internationally, including President of Saudi Readymix, a wholly owned subsidiary of Alturki and the largest supplier of concrete products in the Middle East ranking in the top 100 Saudi Companies for the past 6 years, and selected as one of the 100 Saudi Fast Growth companies for 3 years in a row, as well as achieving the 9th Best Working Environment in Saudi Arabia in 2009. Additionally, Mr. Alturki is active with non-affiliated companies; he is currently a member of the Advisory Board of Gulf Capital, Abu Dhabi, and a member of the Board of Directors at Saudi Enaya Insurance Company. Until recently Rami was also member of the Board of Directors of Bakheet Investment Group and a member of the Internal Audit Committee of Walaa Insurance. Within Saudi Arabia’s Commerce Chambers including the Concrete Committee at the AlEhsa Chamber and a member of the National Industrial Committee and the Saudi Canadian Business Council at the Council of Saudi Chambers and a former member of the Environmental and the Industrial Committees at the Asharqia Chamber. Finally, Rami is a member of the Committee for International Trade in Saudi Arabia. As a philanthropist and advocate of human advancement, Rami is a founding member of the Board of Trustees of Mentor Arabia, a non-government non-profit organization that was established in the Middle East to promote awareness and prevention of drug abuse amongst the region’s youth. He is also a founding member of the Board of Trustees of the Arab Forum for Environment and Development (AFED), a non-profit NGO that is focused on promoting prudent environmental policies and programs across the Arab region. In addition, Rami is the Chairman and founding board member and of Endeavor S.A., a non-profit organization that supports high-impact entrepreneurs. Finally, Rami is a member of the Advisory Board at Dhahran Ahliyya Schools, a non-profit organization dedicated to providing excellence in education and to contribute to the development of Arab education on a wider scale. Rami holds BA degree in Economics from Williams College, Williamstown, MA in the United States. Mr. Abu Zaid joined Saudi Readymix in 1984 as a Mechanical Engineer and today is the company’s Operations Director, a position he has held since 2000. Mohammed Abu Zaid graduated Newcastle University with a B.Sc. & M.Sc. in Mechanical Engineering, then a Master of Business Administration from King Fahd University of Petroleum & Minerals. During his time with the company, Mr. Abu Zaid has conducted seminars and courses from concrete technologies to financial analysis. Fadi Mujahed joined Saudi Readymix in January 2006 as the Marketing and Business Development Director overseeing strategic planning, sales and marketing, market research, business and product development. In 2012 he was promoted to the position of Chief Commercial Officer in charge of the Marketing & Business Development and Technical departments. Prior to his current appointment, he served from 1996 to 2006 as the Marketing Manager of Zamil Steel, where he ran its marketing and expansion activities in over 25 countries worldwide. Mr. Mujahed started his career in 1986 as a research assistant at Jordan University of Science and Technology. In 1989, Al-Amar Company appointed him as its Technical Consulting Division Manager to develop its microsilica and concrete admixture markets in the GCC. Fadi Mujahed holds a B.Sc. in Civil Engineering from Yarmouk University in Jordan (1986). Master of Science in Civil Engineering degree from Jordan University of Science & Technology in 1989, specializing in structural engineering and concrete technology, and a Masters in Construction Engineering & Management degree from King Fahd University of Petroleum & Minerals (2000). 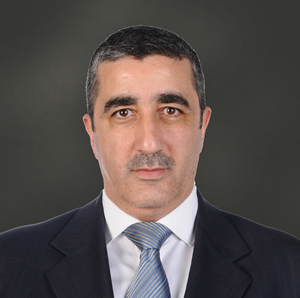 Bader has joined Alturki in February 2014 to take over the Chief HR Officer position. He has +17 years of experience in human resources and administration management, with a broad knowledge of local and international HR functions, law, strategic HR, change management supported by international certifications and global practices. Bader is a qualified MIS and HR education background and certified professional from several global HR institutes like Northampton University, Hay Group, CHRM, Mercer and Certified KPI profession. Bader has experience in human resources management field with leading global and local organizations. He has extensive senior management level experience in HR global project, HR engineering, strategy, business partnering, and labor and employee relations. Bader held senior HR positions in reputed business entities in different companies like Honeywell, SIEMENS, Hitachi and Baker Hughes among others. Mr. Hameed Joined Saudi Readymix as Technical Manager for the Eastern Region and four years later was named Saudi Readymix’s Technical Director. Recently he was appointed as R&D Director. Mr. Hameed has a Bachelor and a Master’s Degree in Civil Engineering from King Fahd University of Petroleum & Minerals. He is a Fellow of Concrete Society (UK), Board Member of ACI SAC-EP, Member of Saudi Council of Engineers (Consultant Degree). Mr. Hameed was a speaker in many conferences inside and outside Saudi Arabia and he has several technical publications in local and international periodicals. Salam joined the company as an HSE Manager in 2008. He holds a Bachelor’s degree in Computer Engineering from King Fahd University of Petroleum & Minerals and a Master’s degree in Business Administration from Atlantic International University. He is a Safety Trainer certified by OHSA, USA, PMP and a Six Sigma Black Belt. Lead auditor qualification in OHSAS 18001 (Occupational Health and Safety), ISO 9001 (Quality), ISO 14001 (Environment), ISO 22000 Salam has various experience since he was working in many countries such as Norway, UAE and Egypt holding different roles in oil and gas industry. He conducts many seminars and training for the promotion and awareness of the HSE requirements with the aim to create and support a health & safety culture of the highest standards in the company. Mr. Kamel joined Saudi Ready Mix in 2015 bringing with him over 20 years of experience in diversified multinational/ national companies. He got his MBA from Edinburgh Business School, Heriot-Watt University, UK and also he is Certified Management Accountant from IMA, USA. Mr. Kamel graduated in May, 1994 with B. Sc. in Commerce from Cairo University, Egypt and he had post graduate diploma in modern accounting from American University in Cairo. Ahmed Kamal joined Saudi Ready Mix in September 2015 as the Corporate Strategic Planning Director, leading the Strategy and Budget office. He has over 10 years of experience in Enterprise Performance Management, with a specialization in budgeting and forecasting process. Kamal has a Bachelor degree in Commerce from Cairo University. After graduation, he joined leading global and local organizations in the field of communication, banking and building materials. Prior joining Saudi Ready Mix, Kamal served as the Strategic Planning Manager and the head of Enterprise Risk Management Department at CEMEX Egypt. Lampros Georgakopoulos has a Bachelor degree in Business Administration from the University of Southeastern Europe, in Greece, and a Master of Science degree in Management from the University of Surrey, in the U.K.
Lampros joined Saudi Readymix in January 2016, as a Supply Chain Director. He has significant experience in the building materials sector as he has previously served as a Procurement Manager and Procurement/Supply Chain Director for Cement manufacturing multinational companies. Mr. Mohammed Jabiti joined Saudi Readymix in 2012 bringing with him over 18 years of experience in Information Technology Field. He obtained his Bachelor Degree in Computer Science from University of Jordan in 1994. And since then he was heavily involved in a lot of Information Technology & Automation Projects related to Readymix Concrete Business Industry in addition to his prior experience in Fleet Tracking & Management Solutions. Chris Leptokaridis joined Saudi Readymix as Technical Director in 2015. He holds a BSc. in Civil Engineering from the Uni. of Sheffield and an MSc. in Construction Management and Concrete Technology from the Uni. of Dundee. He has previously held positions at Lafarge and Titan Cement during which time he supported Cement & Concrete operations in multiple countries, led product development teams, managed European scientific research programs and published academic papers. He is a permanent member of the ministerial committee on drafting and revising Concrete Standards in his native Greece. Hatem Jabr has a bachelor degree in Civil Engineering. He joined Saudi Readymix in June 2000 as a Sales Engineer in Dammam area; became Factory Manager in Hofuf in 2002; then a Factory Manager in Jubail in 2003; and in 2006 he was appointed as a Regional Sales Manager for Eastern Region. In 2013 Hatem was promoted to General Manager for Eastern Region. Hatem has certificates from many reputable institutes such as City & Guilds Certificate in Concrete Technicality, Asian International Executive Programme, and holds a certificate for National Readymix Concrete Association. Mr. Hani Keshta has been Saudi Readymix’s Supply Chain Director since 2013, his career with Alturki Group started 21 years prior to that as a Mechanical Engineer for Inma Construction Materials Co. Mr. Hani Keshta graduated in May, 1990 with B. Sc. in Mechanical Engineering from Zagazig University, Egypt and he has since then conducted many training programs, seminars and courses in Maintenance, Production, Operations, Finance, Management, Purchasing and Supply Chain. Jawad Abu salah has B.Sc. in civil engineering from King Saud University in Riyadh. Jawad Abu salah joined Saudi readymix concrete co. in the year 1988 as sales engineer. He was appointed as area manager in 1999 and after five years appointed as regional sales manager. Now he held the position of general manager for central region. Jawad has certificate of mini Mpa from LEAD academy and certificate of Asian International Executive program from INSEAD. Abdullatif Abdullah Aljabr joined Saudi Readymix Concrete Company in 2018. He holds a BA in English from Imam Mohammed Uni and an MBA from Newcastle University in the UK. Prior to joining SRMCC, he worked in several large companies in different industries. Abdullatif has served in key HR roles and was responsible for attracting and retaining top talents, improving services for internal clients and promoting a performance driven culture.